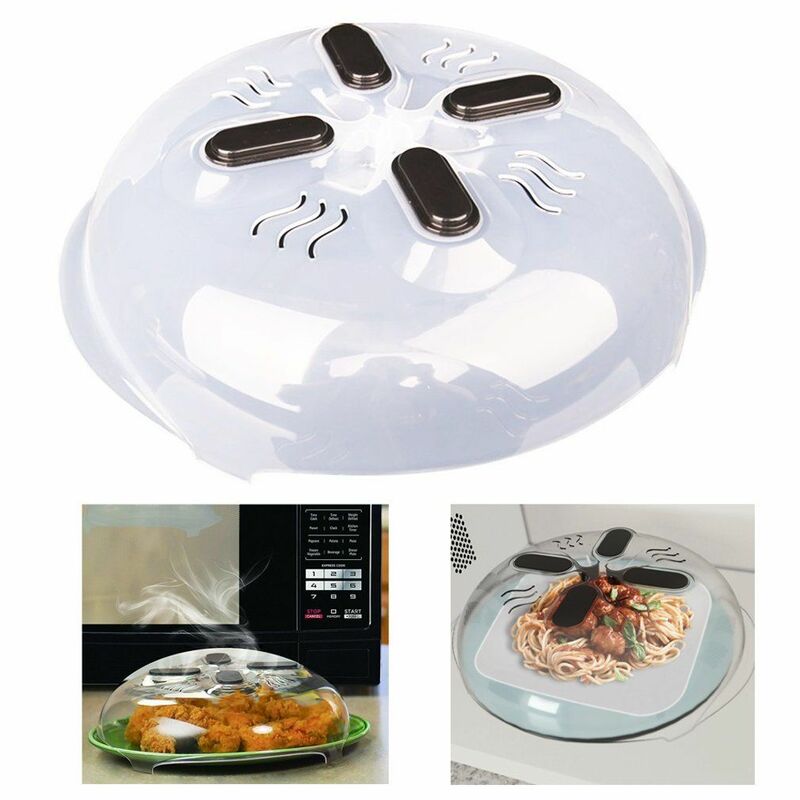 Microwave splatter guard that is always ready to use. It has polymer-encased magnets that secure it to the ceiling of your microwave when you aren't using it. 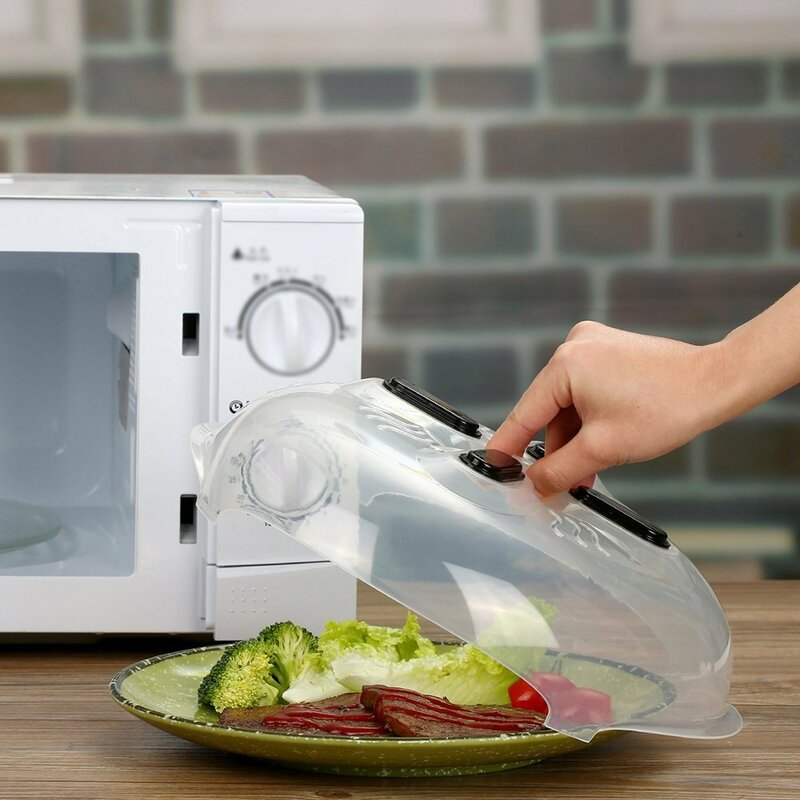 The Microwave Cover is the convenient and easy way to protect your microwave.